Here's the chance to Enjoy the beautiful backdrop of a lovely tropical beach while you play volley-ball on it The only rule that guides you here is the to hit the ball hard enough. Use Left arrow key to move forward, use right arrow key to move backwards and use space bar to hit the bAll when it is in the right position. Make sure you hit the ball real hard. If you want to play Beach Volleyball games online you have come to the right place! GamesLoon adds new Beach Volleyball games every week. This is your game portal where you can find the biggest collection of free Beach Volleyball games online. 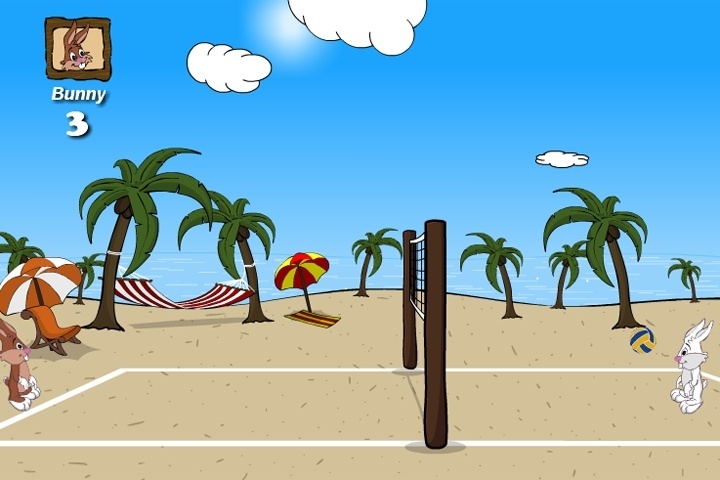 Do not forget to rate our Beach Volleyball free online games while playing!